William Lloyd Garrison's abolitionist newspaper provides extensive details on the assassination of President Abraham Lincoln and the attempted assassination of Secretary William Henry Seward. It contains the 1:30 a.m. official dispatch from Secretary of War Edwin M. Stanton to Major General John A. Dix, as well as the 8:00 a.m. dispatch reporting Lincoln's death. 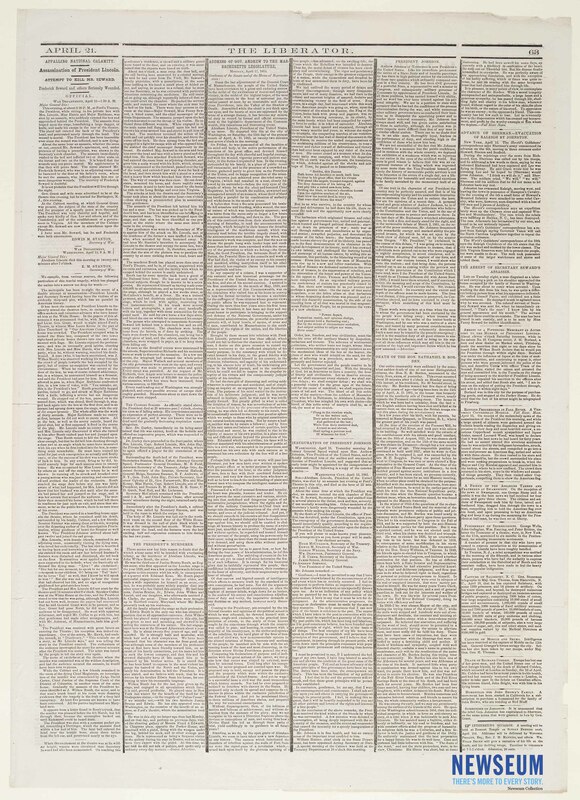 Known as "mourning rules," the wide vertical lines between the newspaper columns represent grief over the loss of an important person.